Will You be a "Good" Boss? It's perhaps every new business owner's fear: will you be a good boss? Will you be successful at managing others and getting them to work efficiently? If you've never been a boss before – or even if you have, but just not for yourself – this can be a very real and omnipresent fear. Because, even once you start doing it, it's a recurring event that can be swimming in the back of your mind. Every time something gets rough – every time there is a tiny disagreement, you'll ask yourself whether or not you're doing a good job at leading others. But instead of constantly second guessing yourself (which can only affect your work as a franchisee owner), it's time to give yourself the benefit of the doubt. Instead, find out once and for all – will you be a good boss or not? Start out by asking yourself a series of questions. How are you with common sense? Do people generally look up to you? Do they second-guess what you have to say? Do you lead by example? For specifics, take your last few interactions with people into mind and consider how they went. Next, consider how you are at self-improvement. Are you able to take negative feedback without taking it personally? Can you objectively take opinions into account and turn it into a working tool? As difficult as it might be, you will need to separate yourself from others. A layer between what is personal and what is going to help the business succeed will allow you to change yourself for the better. This objectivity will also grant you the ability to help others improve on heir own professional shortcomings – in both identification levels, and pointing them out in a way that doesn't seem accusatory. Another area altogether is to determine what even makes a boss "good." Is it one who gets the job done? And who keeps the franchise running smoothly? Is it one who brings growth to the business and tops a well-oiled machine? Someone who weeds out weak links? There are many aspects that one might consider "good" about a boss – and in order to determine whether or not you will be successful at leading, you can first define what you believe those characteristics to be. Avoiding what previous bosses have done to make your feel inferior or to make a location fail are other areas you can look toward when taking on your franchise. Outsourcing tasks to those who are more/better qualified can allow you to focus on your best skills, rather than stretching yourself to cover genres that are not in your wheelhouse. Finally, determine "how badly" you want it. How much do you want to succeed? How much will it mean for you to have this franchise grow? To open a second? To become a respected place of business? Chances are, simply due to how invested you are in this project, you will be a great boss – for that fact alone. Passion can take you great places in life, and it can also lead you to identify and change whatever isn't working. Being in charge and taking a personal claim in your franchise is one fact alone that will lead you to become a great boss … even if you don't think that you can at the time. Identifying weaknesses is a skill that can make you as successful as any. From looking at what you need to improve upon, to taking note of others' best skills, to doing whatever it takes to make things work – all of these things and more can help create a great boss. 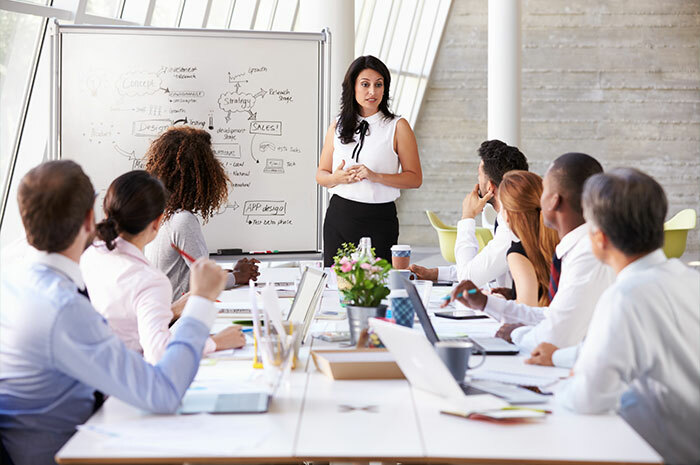 Look toward the abilities you already have, as well as ways you can identify new ones for your best shot at running your next franchise success.